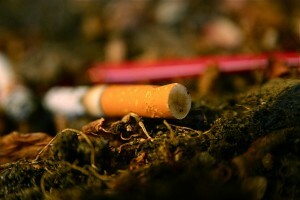 Home » NLP School blog » Can NLP Really Help You Quit Smoking? The one-word answer to this question is ‘yes’. I’ve helped a number of clients to do this, some of whom have been heavy smokers. Using Robert Dilts’ model of the Logical Levels, we can look at smoking and the various ways it exerts a hold on the psyche. At one level, the smoking habit is just that – a habit, a set of behaviours to which smokers get used. These include rituals of ‘lighting up’ or hanging out with a group of fellow-sinners outside the office. Behaviours, of course, can easily be changed. The habit is also supported by a range of beliefs, one of which is that giving up smoking is incredibly hard. While it is not easy, it is not as hard as many people have convinced themselves. People give up. At a deeper level still, smoking can become part of someone’s identity. “I am a smoker,” they say. Many smokers took up the practice in their middle or late teens, and still associate it with becoming a proper, and possibly rebellious, adult. Behind several of these hooks is the simple fact that smoking isn’t all bad. People resist giving up because they enjoy the habit, or because it brings other benefits – maybe the sin bin outside the office attracts more interesting people than the goody-goodies around the water cooler. In NLP we stress the importance of facing up to such hidden benefits of otherwise unhelpful patterns and finding replacements for them that work. What other little treats can you give yourself to replace the taste of a cigarette? How else can you link up with congenial people? It’s a lot easier than the hair-shirt approach to self-improvement. The battle to give up can also bring hidden benefits. It’s dramatic, exciting, up-and-down. My father had a long such battle (I wish I’d known NLP while he was going through it: I could have helped him a lot). When he quit in the end, he commented ruefully that the nicest thing about giving up smoking was no longer having to worry about giving up smoking. Specific NLP tecniques can also be used to help people quit. I use one called Collapsing Anchors. We begin by looking at the habit in its most unpleasant moments: a morning, perhaps, when they’ve woken up coughing, in a room full of uncleared ashtrays that stank of stale smoke. Then I ask the client to recall a happy scene from their past, before the smoking started damaging their health. A delicious meal, perhaps, with all their taste-buds still in action, or a jog through a beautiful spring wood, their body fit and enjoying the buzz of exercise. The client then anchors both states. Anchoring is an NLP technique whereby an inner state is connected to a specific external stimulus (pinching a knuckle is such a stimulus, though of course we anchor states all the time: put on a favourite piece of music you haven’t heard for a while and see where it takes you). The two anchors are then ‘fired’, by reapplying the stimulus, at the same time. At this point, clients often feel quite disoriented – a healthy sign that the process is working. The anchors can be fired for a minute or so, then let the negative one go and just enjoy the positive for a little longer. What this has done is to facilitate communication within the unconscious mind. In NLP, we see this as a kind of set of sub-personalities, who are not very good at communicating with each other or the world. The process has enabled the habit-sustaining sub-personality to connect with the habit-breaking sub-personality. In such an instance, the unconscious’ natural, evolved desire to foster helpful states and behaviours will take over, and the positive sub-personality will win a kind of inner argument with the negative one, which will then see the error of its ways and cease trying to impose itself. If this seems rather theoretical – the process works. I remember well a client from Bulgaria, where smoking is much more ingrained into public life, experiencing an extraordinary sense of relief after going through it – and throwing the fag packet into the bin. He has not smoked since. 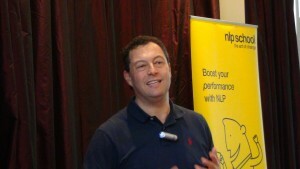 Want to learn more about NLP? Find out about our Introduction to NLP taster courses.